cilantro chimichurri | This Girl’s Gotta Eat! Friends often ask me how I’m able to cook nearly every night after long work days. The trick is to meal plan for the week, use similar ingredients in different dishes and utilize leftovers. 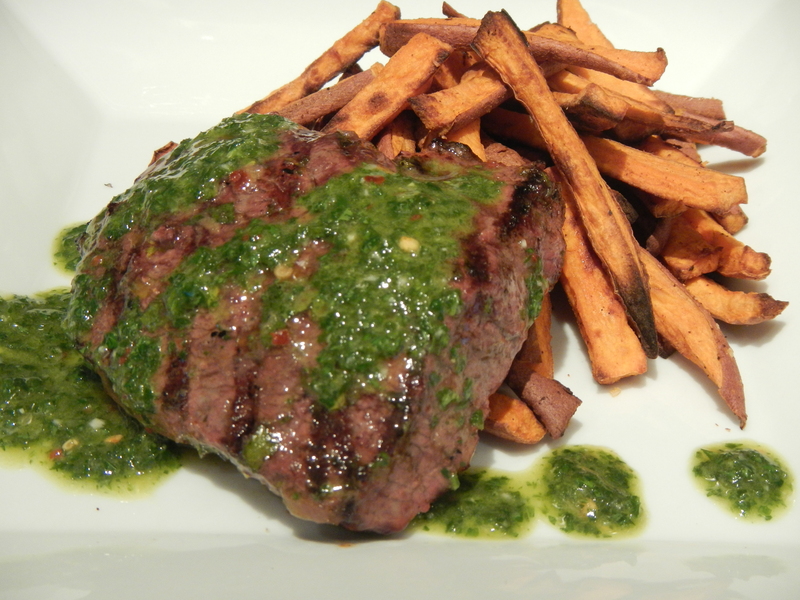 The other night I made a steak dinner with a chimichurri sauce. I saved some of the chimichurri on purpose to use with this taco, to add flavor and finish the dish. By using leftover sauce with quick cooking fish and pre-shredded carrots, I’m able to get dinner together super fast on a busy weeknight. Heat a Tbsp or so of olive oil in a medium skillet over medium heat. Season fish filets on both sides with a little salt, cumin, chile and garlic powders to taste. Saute until fish is opaque, cooked through and starting to brown, 4-5 minutes or so per side. Meanwhile in a bowl, combine the carrots, green onions, red onion, chopped cilantro and all but a little of the leftover chimichurri until combined. Warm the tortillas in the microwave 10-20 seconds. 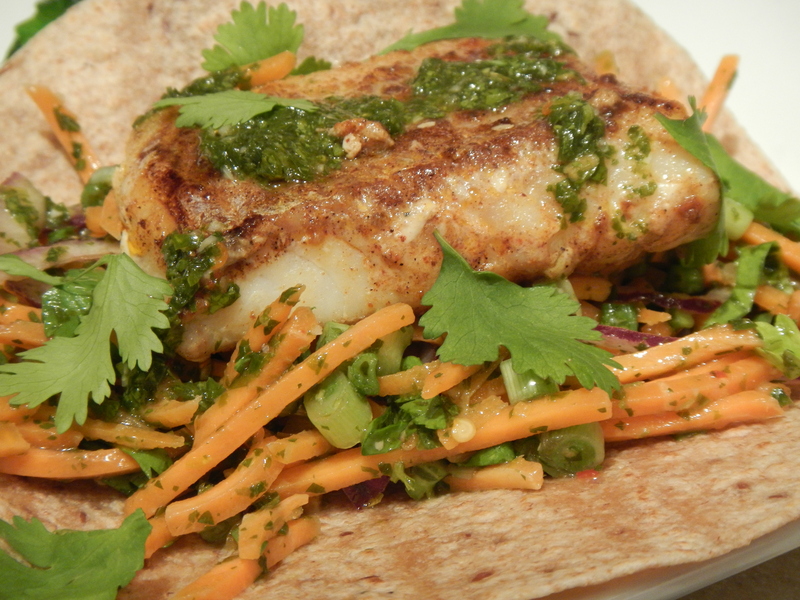 To serve, divide the carrot slaw among warmed tortillas, top with a piece of fish and garnish with remaining chimichurri and cilantro leaves. To make the taco easier to eat after you plate it, gently break up the fish into bite-size pieces with a fork.